Wildstorm is a DC imprint that publishes many entirely self contained titles, but also publishes some books that have a shared universe (which seemingly also shares some borders with the mainstream DCU.) The Wildstorm universe is populated by many superheroes, and while some of them may look familiar, like Elseworlds versions of heroes we know well, their life choices and morals may be drastically different than we’re familiar with. 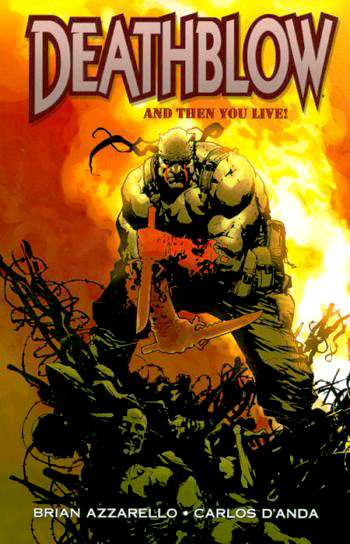 Deathblow: And Then You Live!